Panini Foot 2017 is a completely renovated collection that marks a clear rupture with the past. The album and the stickers have a larger size, with the consequence that there are two players per sticker, both for the portrait and for the action stickers. Therefore the total numbering of the stickers is huge (more than 900), but actually the collection is composed by 522 stickers (plus the extra stickers of the poster and the update). 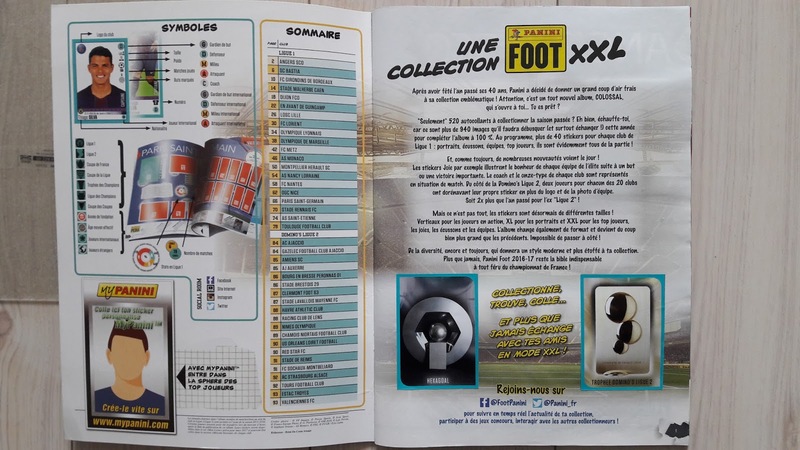 The album starts with a foreword and the first two stickers: the trophies of Ligue 1 and Ligue 2. Then the Ligue 1 teams are shown in alphabetical order. 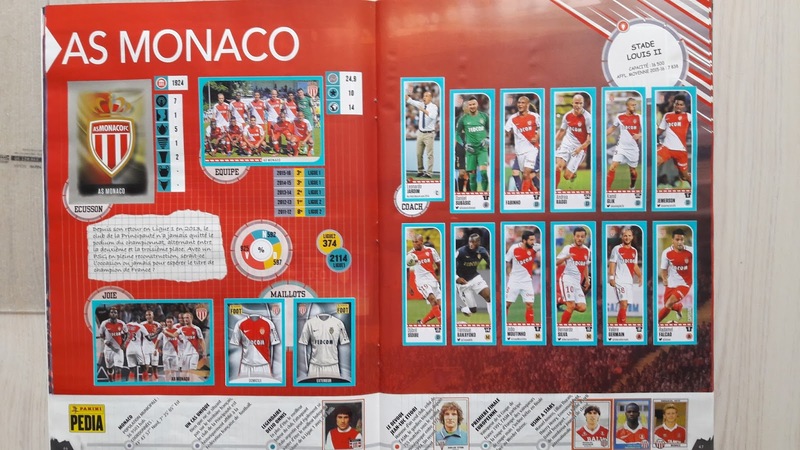 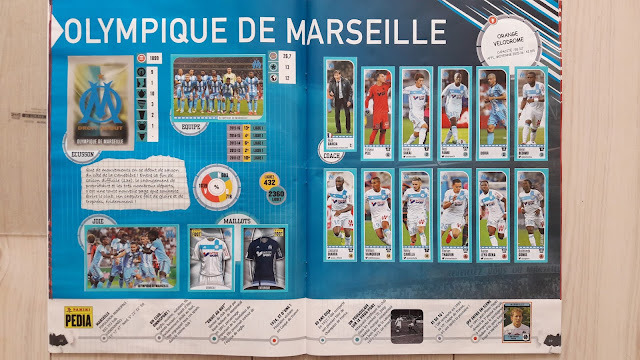 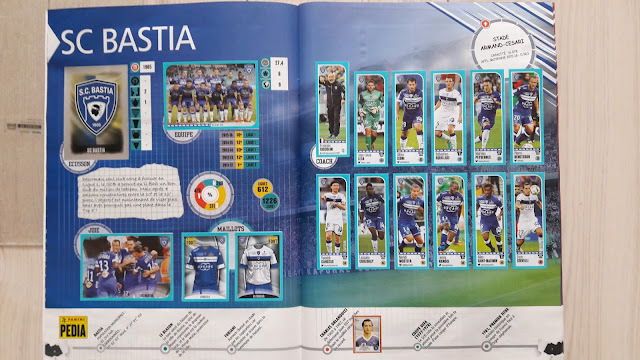 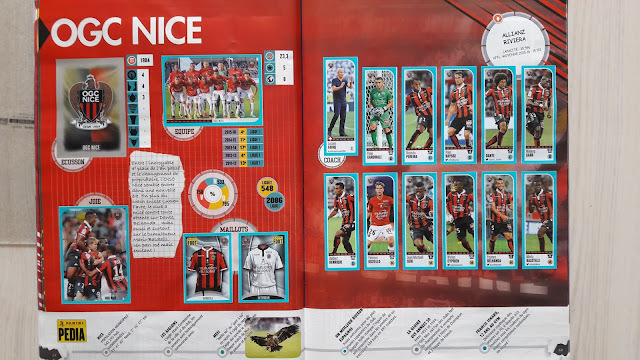 Each club is displaced over four pages with a total of 23 stickers (but with numbering from 1 to 42) out of which two metallic stickers: the club logo and the star player in action. 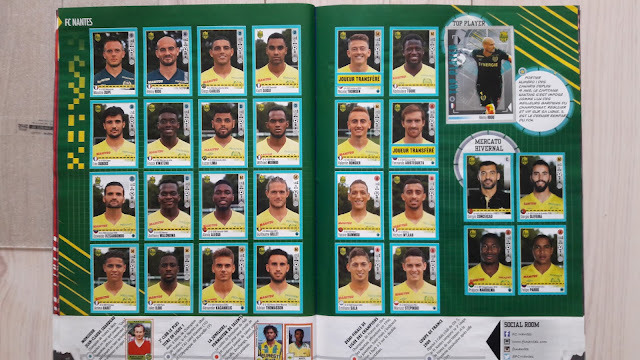 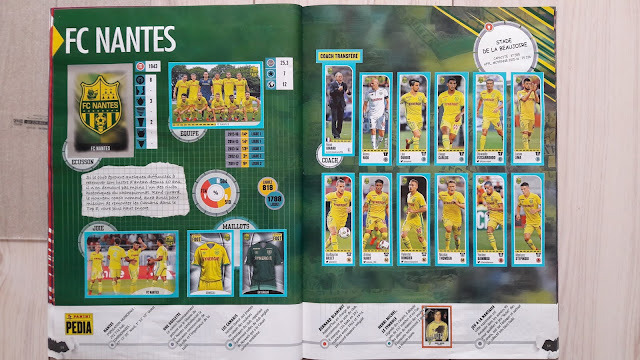 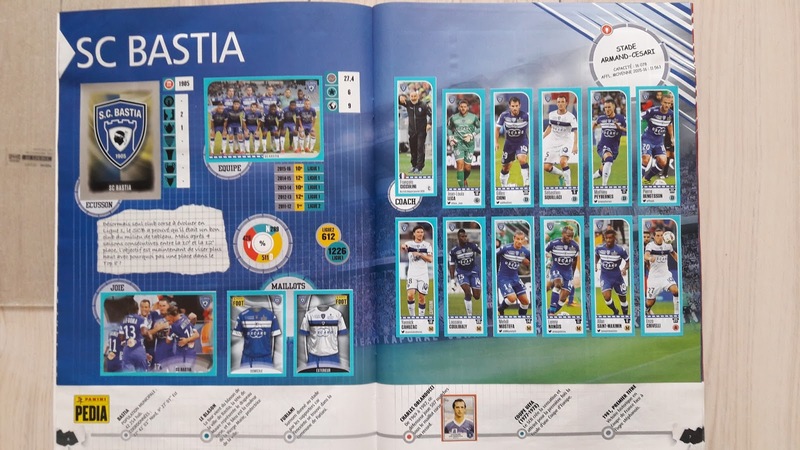 The other stickers are the team photo, the team celebration, the team kits, the 11 regular players and the coach in action (6 stickers), and 24 player portraits of the squad (12 stickers). As usual there is a "mercato" section in each club, with space for up to 4 extra players transferred during the winter market. These stickers can be found in the update set, which includes also mini stickers with the tag "Transféré" to be placed on the stickers of the players that left the club in January. 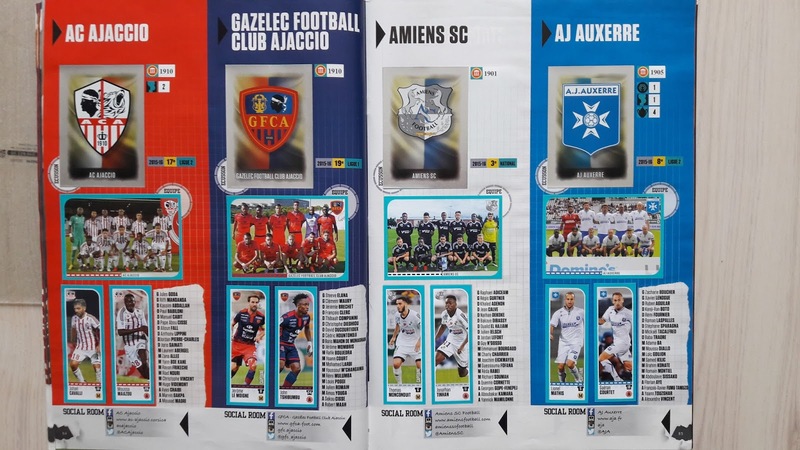 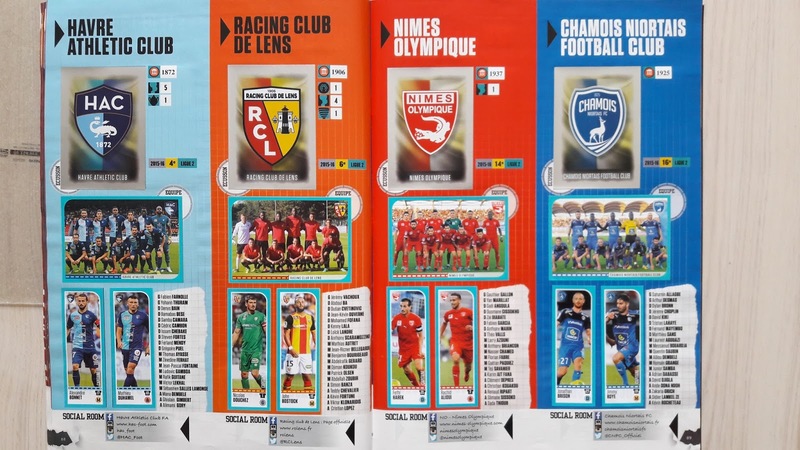 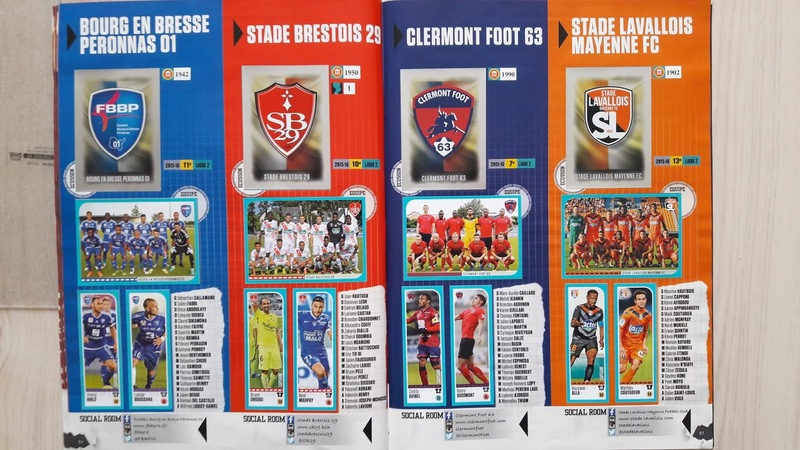 Ligue 2 clubs have this season 3 stickers each: the club logo (metallic sticker), the team photo, and two players in action (half sticker each). 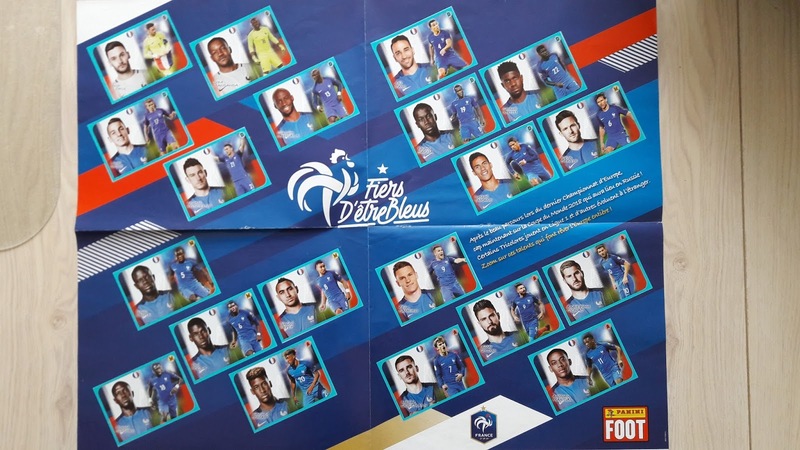 A new feature of this collection is a poster size A2 dedicated to the French National team. 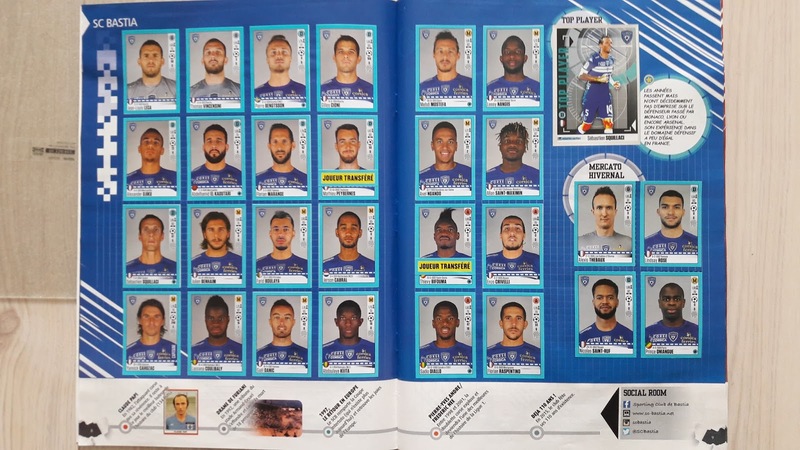 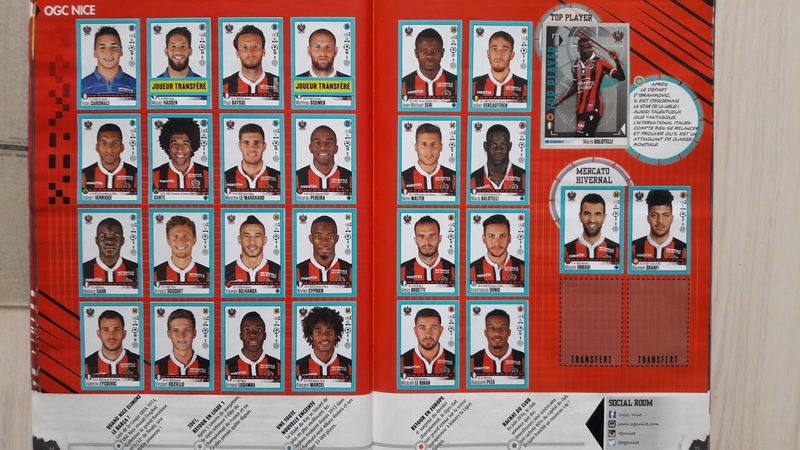 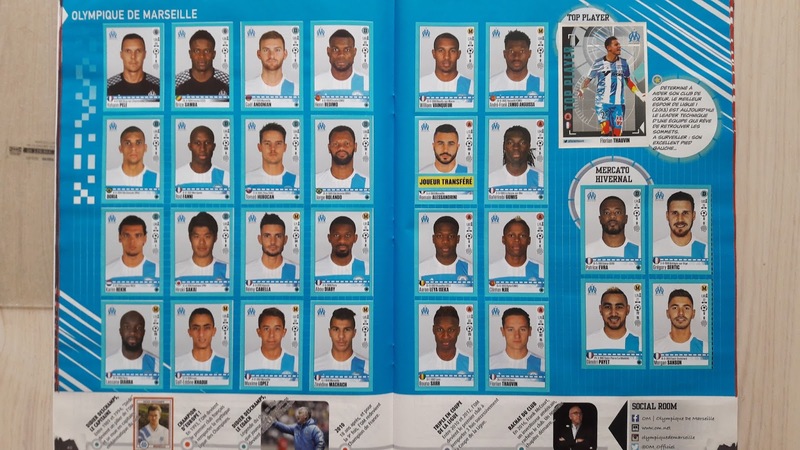 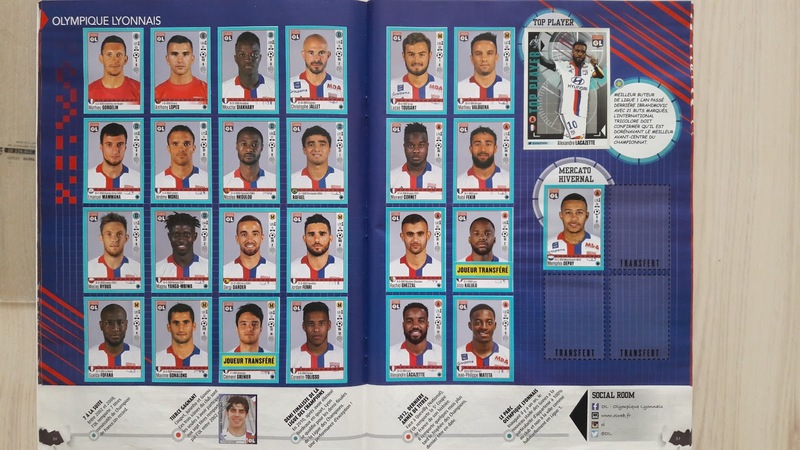 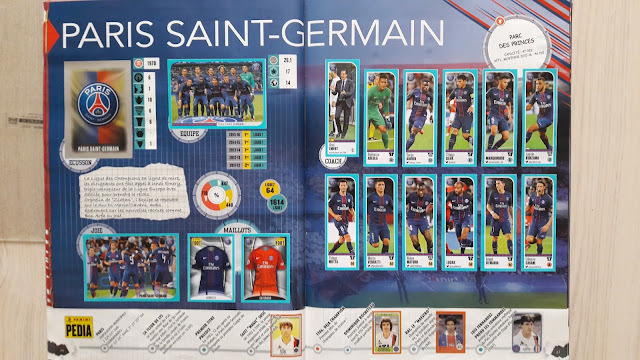 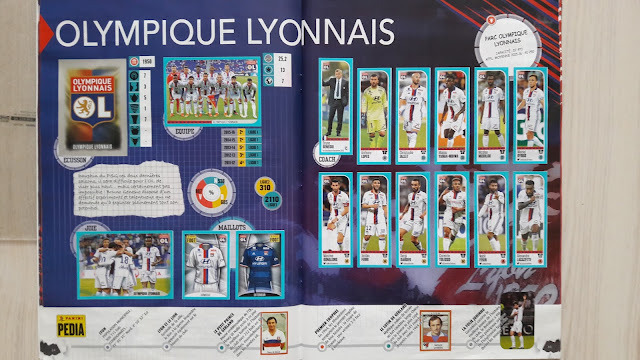 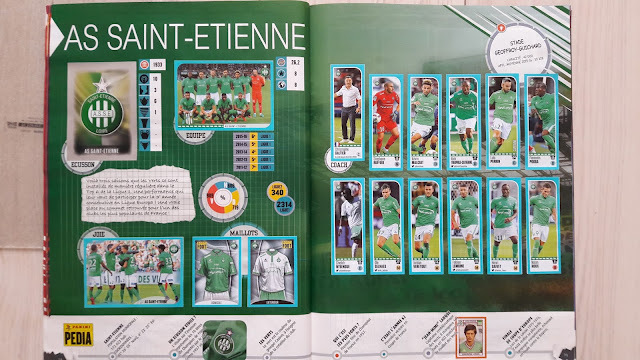 Here we find 20 stickers of French players in the National team, with both a portrait and an action on the same sticker. 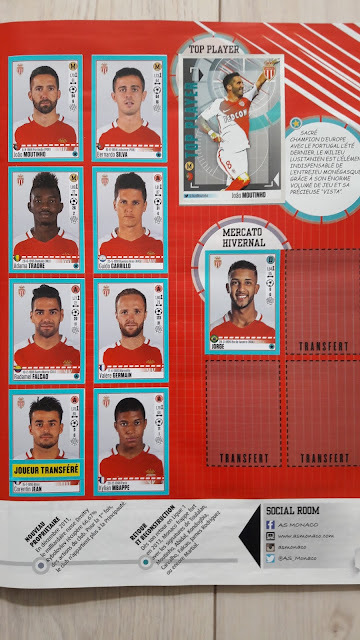 The update set (Set Transferts) includes this year 50 new players and coaches transferred during the winter market. 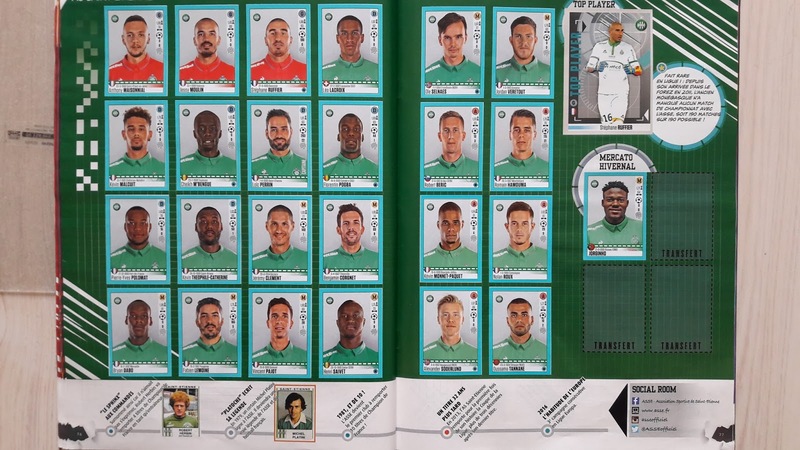 Among them Depay, Draxler, Sergio Conçeiçao (coach). 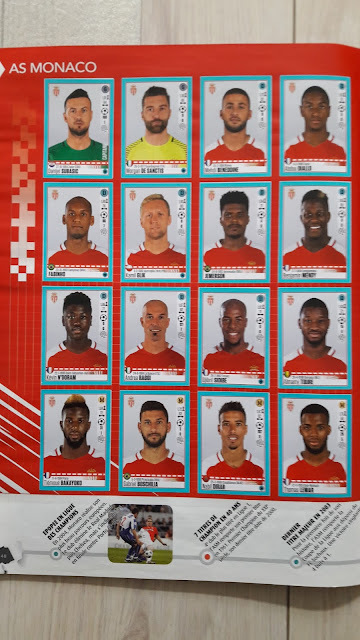 These stickers are numbered from T1 to T50. In the set there is also the sticker 432 reprinted and corrected (the one that could be found in the packets had the wrong player on it). 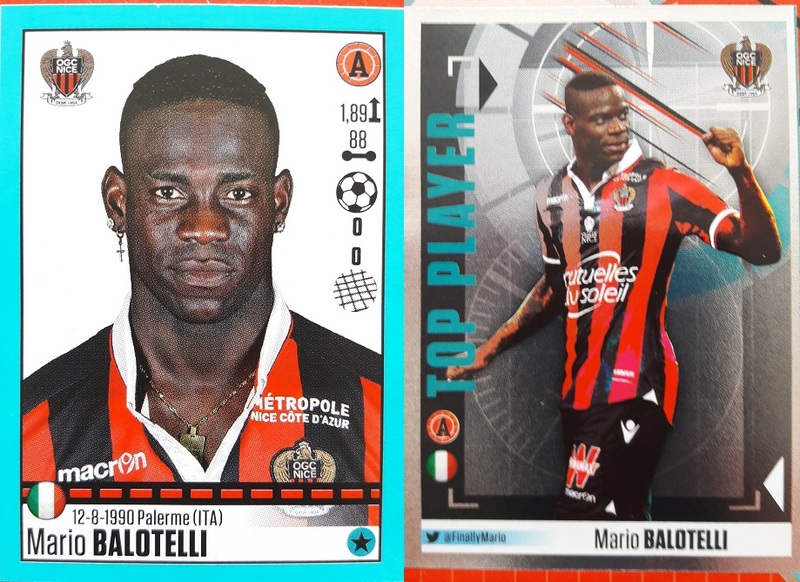 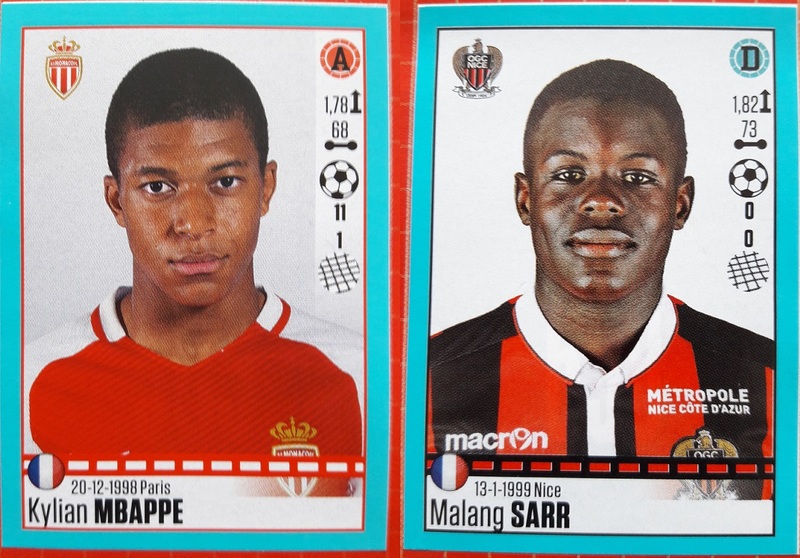 Two remarkable rookie stickers of this collection: the sensational Kylian Mbappé (1998), who scored fantastic goals in Ligue 1 and Champions League for Monaco and Malang Sarr (1999) the defender who is a regular player of Nice. 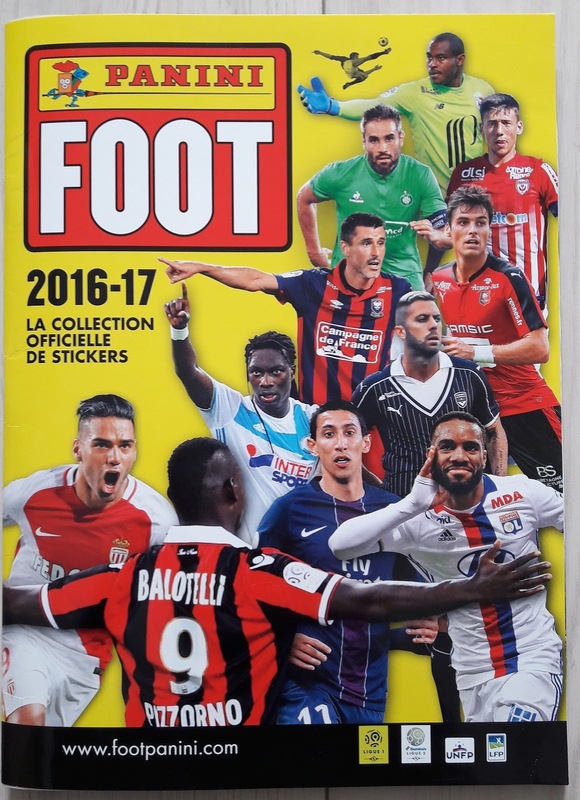 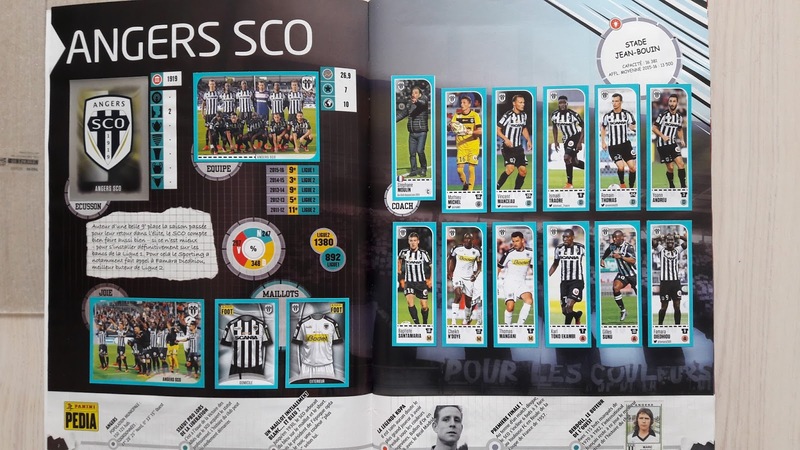 Set Transferts: Bamba (96, Angers), Jovanovic and Mancini (both 96, Bordeaux), Jorge (96, Monaco), Mukiele and Mbenza (97 and 96, Montpellier), Srarfi (97, Nice), Lo Celso and Guedes (both 96, PSG), Kalulu (96, Rennes), Lukebakio (97, Toulouse).